Jeffrey was sure he could make the goal, so he asked Thomas to kick him the ball. But he missed the goal and his team lost. He really let them down. Jenna promised her mom that they would have breakfast together on Mother's Day, but she forgot to set her alarm. When she woke up at 11am, she called her mom, but she had already had gone out for brunch with a friend. Jenna said she was sorry that she let her mom down and promised to make up for it next week. Meaning: To "let someone down" means to fail or disappoint that person or group. Usually, this expression is used when the person/group being let down was relying on the person to be successful, and the failure was that person's fault. 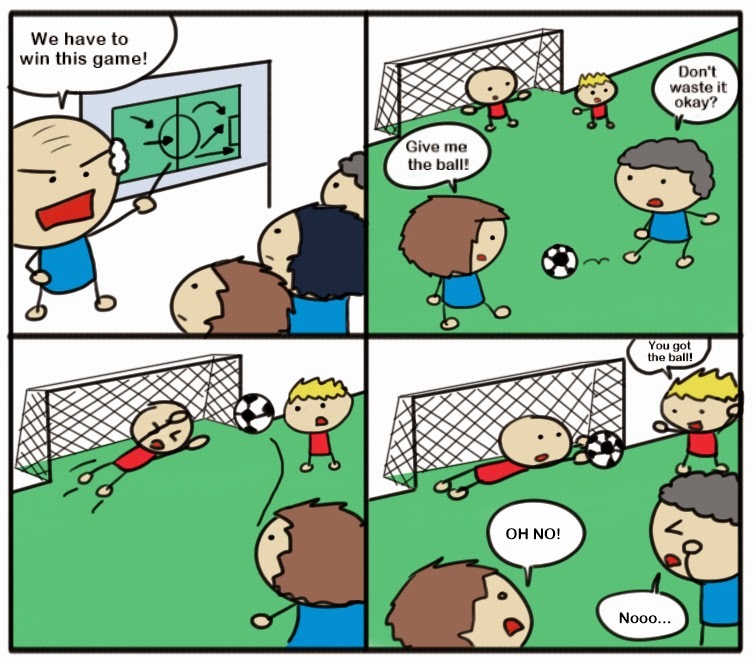 In the first example/illustration above, Jeffrey missed after he said he was sure that he could make the goal; if he hadn't said he could make it, he wouldn't have let them down. In the second example, Jenna let her mom down after sleeping through the Mother's Day breakfast she promised.